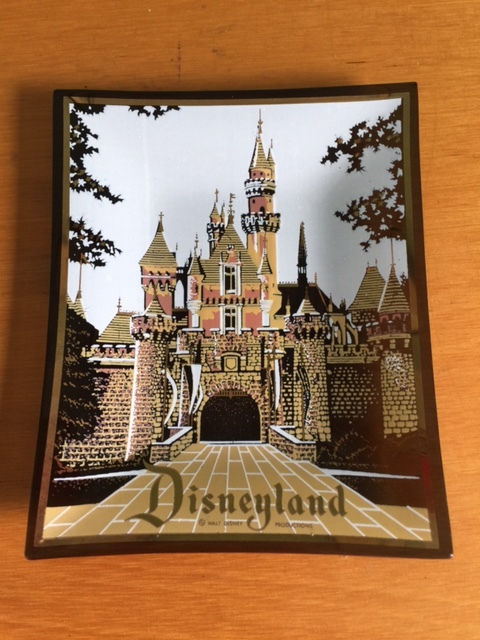 This week’s “My Disney Collection” item(s) are a couple of glass plates souvenir plates from Disneyland. I got these both second hand so I’m not sure what era they come from, however this first one I was amazed to see at the Disney Archives on display when we were there in July. I bought it online. 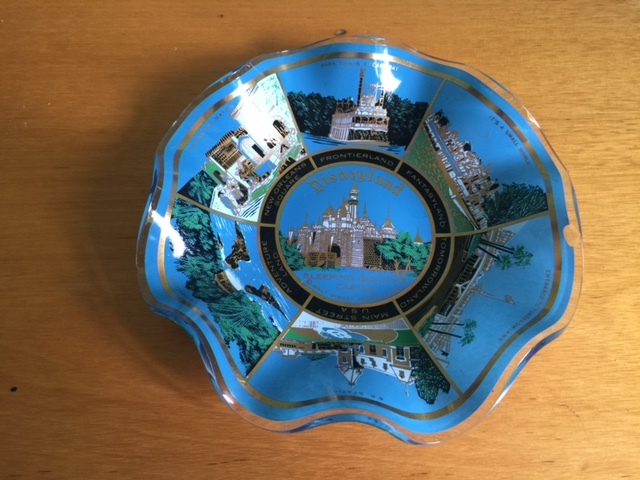 This second blue fluted edged dish is really hard to photograph as from all angles it reflects the light. Unfortunately does have a chip in it so I hope to be able to replace it at a later date. I got this one from an op shop (thrift store). OK. So if in my wanderings thru the Salvos or Vinnies I spot any magic Disney stuff do you want me to send a photo and then buy it for you. But I don’t know what people would say if I start buying Goofy memorabilia.